Do we need to say anything about this band? Ok, a few words will be sufficient. MAGRUDERGRIND is the band who toured & played their grind in the whole world. 2009 saw Magrudergrind's sophomore full-length, self-titled record on Willowtip Records, engineered by Kurt Ballou (Converge, Misery Index, Torche) and mastered by Scott Hull (Pig Destroyer, Phobia). A sonic escalation of the band's previous amalgam of grindcore and DIY punk, Magrudergrind's acclaimed self-titled release sends them into 2010 with notable appearances at the Scion Rock Festival in Ohio on March 13, the Maryland Deathfest, Memorial Day weekend and Hellfest in Clisson, France in June. 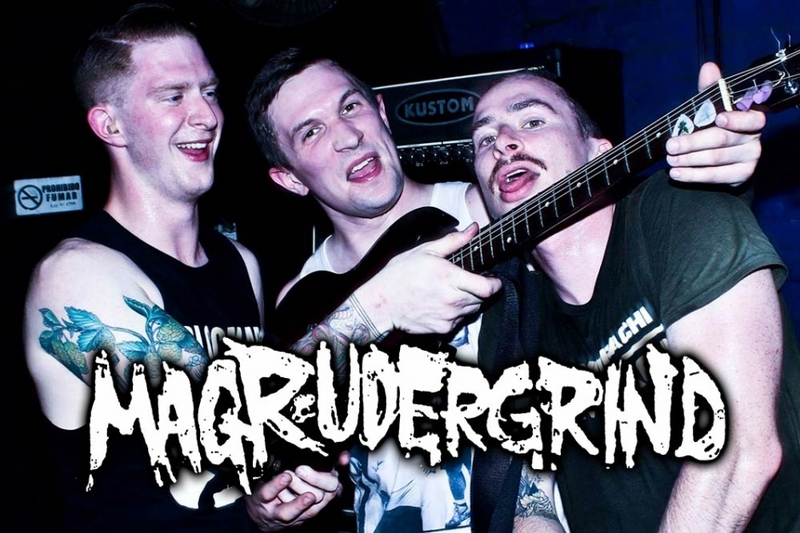 Magrudergrind "Crusher" EP will be out in Europe on Bones Brigade Records (10") and RSR (CD) in Spring 2011.